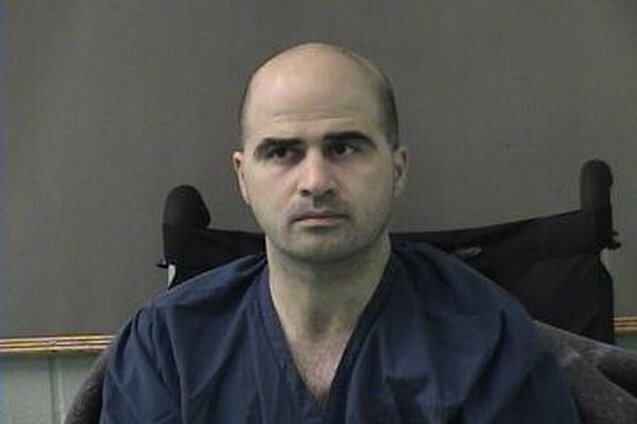 The trial of Major Nidal Malik Hasan, who opened fire on his fellow soldiers at the Fort Hood Army base in 2009, began Tuesday. The former U.S. Army psychiatrist is charged with 13 counts of premeditated murder and 32 counts of attempted murder. After dismissing multiple defense attorneys, Hasan will be representing himself, meaning he will be cross-examining his own victims. It remains to be seen how exactly he will defend himself. Hasan has previously argued that his actions were motivated by his desire to protect Muslims and the Taliban in Afghanistan from U.S. soldiers. The presiding judge, Col. Tara Osborn, has already rejected that defense, holding that as a uniformed solider in the U.S. Army, Hasan had no justification to kill other U.S. soldiers. Denying his involvement in the shooting is already off the table. In his first statement to the court this morning Hasan admitted "I am the shooter". He added that "we are imperfect Muslims trying to establish the perfect religion...I apologize for any mistakes I made in this endeavor." The defendant, who was shot by officers during the attack, is now paralyzed from the waist down, and is in the wheelchair. Prosecutor Col. Steve Henricks began his opening statement by saying that Major Hasan planned to "kill as many soldiers as he could." The first witness to be called by the prosecution will be an employee of Guns Galore in Killeen, Texas, where suspect Hasan bought his weapons. Judge Osborn told the jury of 13 military officers that the trial could go on for several months.